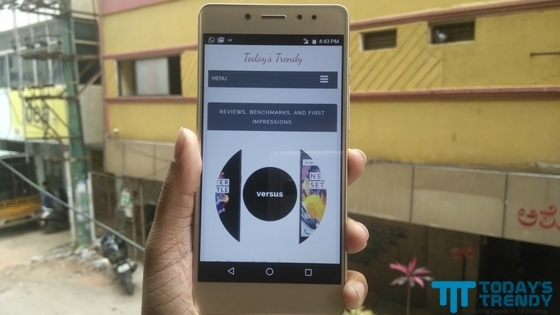 10.or E was launched last month in India. It is a new online-only smartphone brand entering the market exclusively via Amazon. Pronounced as Tenor, which refers to the highest pitched sound of an ordinary adult male, it appears that the manufacturer aims to make a high-pitch sound among its competition, thus announcing its entry. 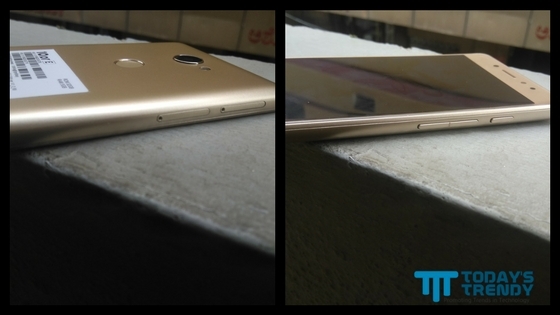 The smartphone comes in black and gold color variants (we have the latter one). Concerning specifications, the device features a full HD display and is powered by Qualcomm Snapdragon 430 octa-core processor. It comes with a 5.5-inch screen. There are two variants of the device based on the RAM and storage, one with 2 GB RAM and 16 GB internal memory, and the other with 3 and 32 gigs combination. We have the higher variant with us. The storage is expandable up to 128 GB, thanks to the dedicated microSD card slot. The device runs on Android Nougat 7.1.2 and packs a 4,000 mAh battery. 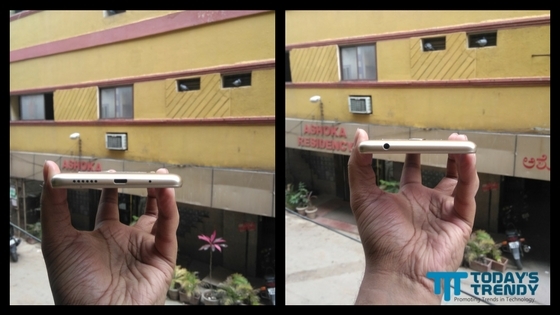 The smartphone features a display with a resolution of 1920x1080 pixels. The three standard buttons for Menu, Home, and Back are placed on the screen resulting in the wastage of a lot of space at the bottom bezel. 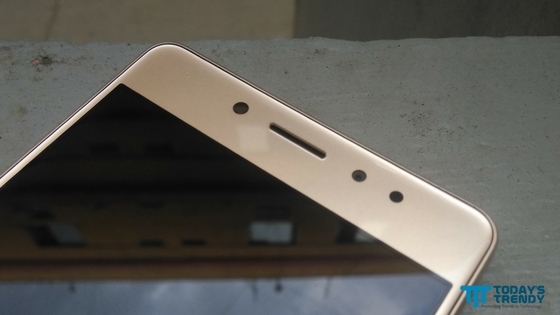 Additionally, there is a 5 MP front-facing camera lens located above the display, to the right of the earpiece grille, which is itself in the center. The LED flash is located to the left of the earpiece. The notification indicator LED is to the right of the sensor. 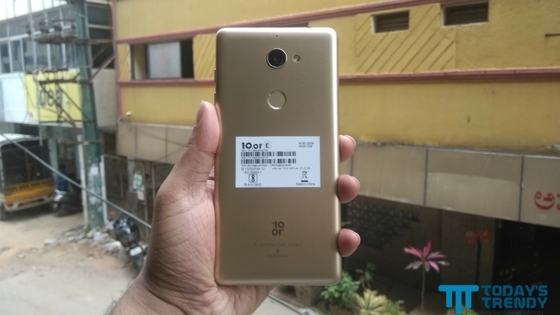 The smartphone's hardware includes Qualcomm Snapdragon 430 octa-core (4x1.09 GHz and 4x1.40 GHz) processor, and a 13 MP rear camera with LED flash located beside the camera lens. Above the camera lens lies the secondary noise-cancellation microphone. 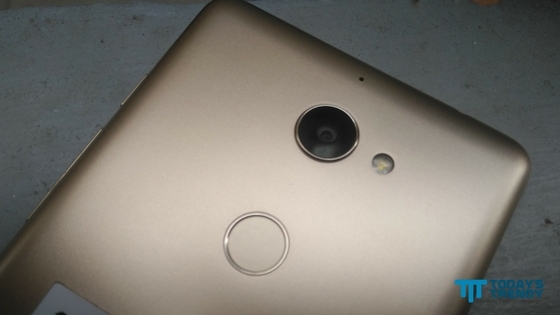 Below the camera is the circular fingerprint sensor, which delivers more misses than hits. Below the fingerprint module is the 10.or branding. The right side of the device features the power key (located on the top) and the volume rocker key (located below it). The SIM tray and microSD slots are found on the left side of the device. There are two nano SIM slots; only one slot supports 4G LTE at any instance in time. The 3.5 mm headset jack is on the top left. The micro USB port is at the bottom center. The speaker grille and the primary microphone are placed on either side. 10.or E features a metal unibody design, i.e., the rear panel is non-removable. The device has rounded corners. Stay tuned for a detailed review of the device. Subscribe to our feed, like us on Facebook, follow us on Twitter or Google+ to get notified as soon as the review is published.